43-year-old pop star M.I.A. had nothing to do with the making of Stephen Loveridge’s film, Matangi/Maya/M.I.A. which had its worldwide release last month, but she was very much a driving force throughout the creation process thanks to more than 700 hours of personal video footage she handed over to the director eight years ago. “When I handed the tapes over in 2011, I wanted to make an in-depth documentary about the Maya album, just because I had so much visual content around it and I felt that it was misunderstood,” M.I.A said. 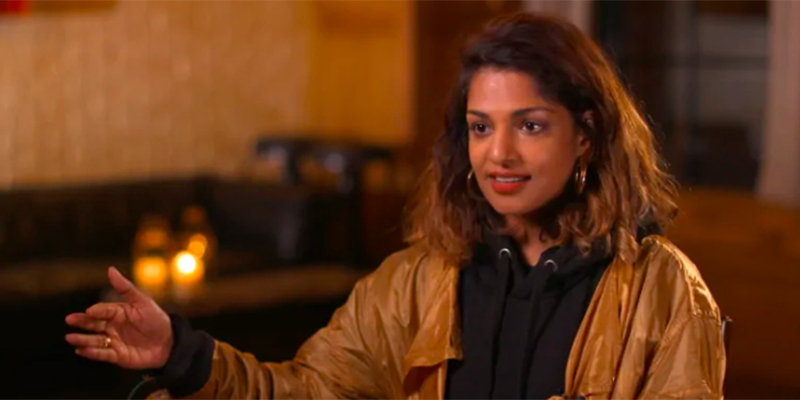 What was supposed to be a music documentary ended up being an in-depth, intimate look at M.I.A.’s journey from war-torn Sri Lanka to international stardom. For critics who have long questioned the motivation behind her activism, the film provides clarity on why M.I.A. has refused to let her political voice be silenced. From the moment she burst onto the music scene in 2004, M.I.A.’s voice has been unapologetically fierce and fiercely unapologetic. Stirring controversy with her lyrics and her music videos, that “problematic” persona took hold almost instantly. That was essentially the first bell sounding off in M.I.A.’s long fight with the media over accusations of supporting terrorism. Born Mathangi Arulpragasam, M.I.A. grew up as part of the ethnic minority Tamil community in northern Sri Lanka. “I remember not being conscious of the fact that you’re Tamil and then suddenly being really conscious of it because the war just started,” said M.I.A., who was forced to flee Sri Lanka when she was just 10 years old. M.I.A. settled in London as a refugee in 1985. “It was the first time England opened its borders to [Sri Lankan] refugees and I was like the first kind of batch,” she said. M.I.A. still remembers the in-your-face racial tension that existed in the 1980s. “It was just like learning that, ‘Oh you’re something else,’ and it’s not even the thing that you really are. You’re just sort of lumped in this category of brown,” she said. In the U.K., Mathangi became Maya, a refugee with an ambition to become a documentary filmmaker. How Maya then became M.I.A. started with a phone call on the day she graduated from art school. In the spring of 2001, M.I.A. returned to Sri Lanka to find her cousin, who had gone missing during the war. “I didn’t like hearing the message that my cousin might be alive or he might be dead and nobody knew,” she said. “I felt really guilty,” M.I.A. continued. “My favourite cousin had to make that decision to fight for his people and I was … just graduating with a fine art degree and I didn’t know what to do with it. I needed to go and investigate. What started as a journey to reconnect with her family and find her cousin who went missing during the war became something much bigger. That’s effectively the origin story of Arulpragasam’s stage name, M.I.A. It’s a nod to the cousin she never found and the people she left behind. Throughout her controversial career, what remains at the core of M.I.A.’s music and activism is her life as a Tamil refugee who grew up in London. 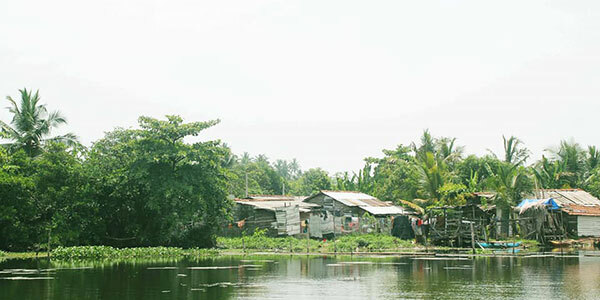 “People make it out that it’s a dirty word, and being a refugee or being an immigrant is like this thing that you shouldn’t speak about,” said M.I.A..
What do we really know about Sri Lanka’s wetlands? The Fairway Galle Literary Festival (GLF) 2019 will take place from 16 - 20 January 2019, marking the festival’s tenth anniversary.